This is the first of a series for the QNAP TVS-463 network attached storage (NAS) device. In this article we’ll cover the basic steps to set up the QNAP TVS-463 for the first time. As always, if you have questions feel free to leave a comment at the end and we’ll get the answers for you one way or another! 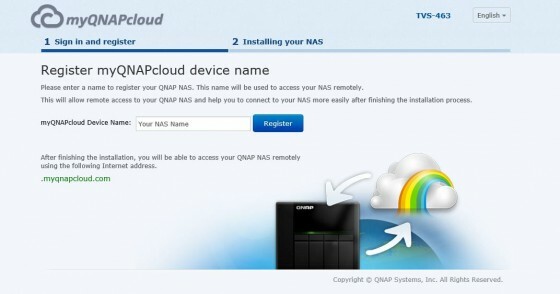 To start setting up your QNAP NAS, go to start.qnap.com using your preferred web browser. Choose the number of drive bays and your NAS model. This will identify which firmware will be installed later in the setup process. Click on Start Now and the webpage will move to the How to Install section. 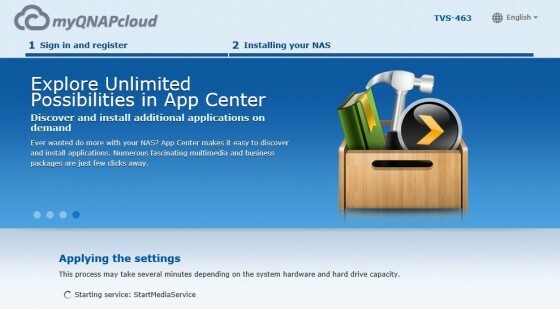 This section shows the three main tasks that will be performed as you set up the NAS for use. 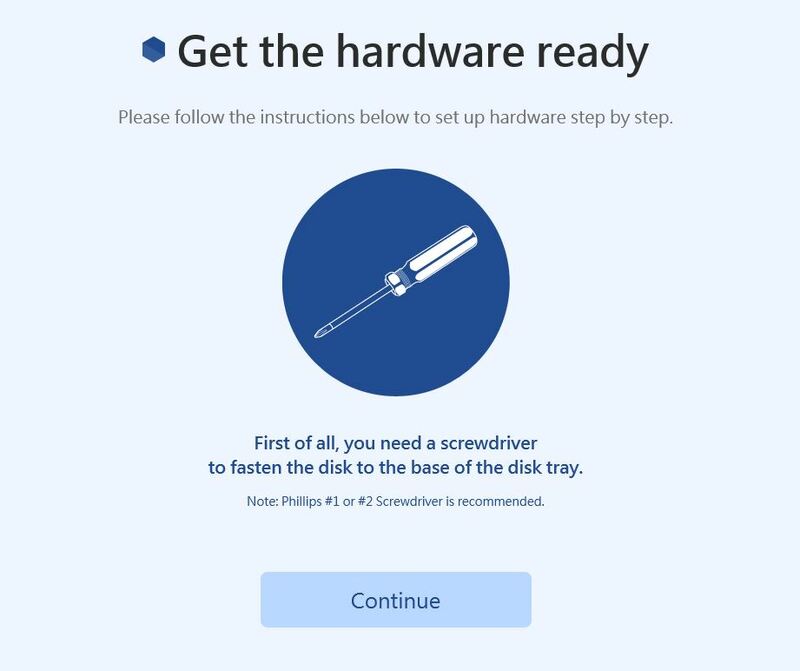 Scroll down to the Get the Hardware Ready section. 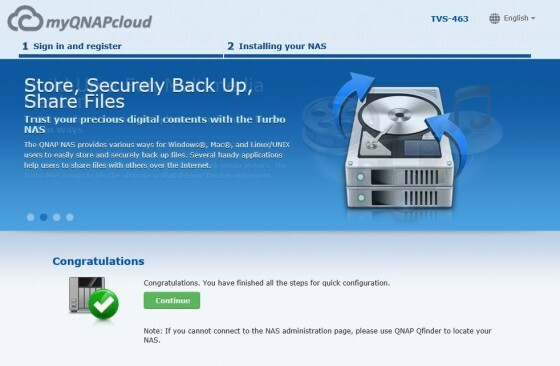 If you have not already done so, install your hard drives into the disk trays and then install the disk trays into the NAS as shown on the webpage. After the hard drives have been installed in the NAS, connect the network and power cables. Turn on the NAS using the power button on the front on the NAS. Scroll down to the Install Firmware section of the webpage you opened in Step 1. 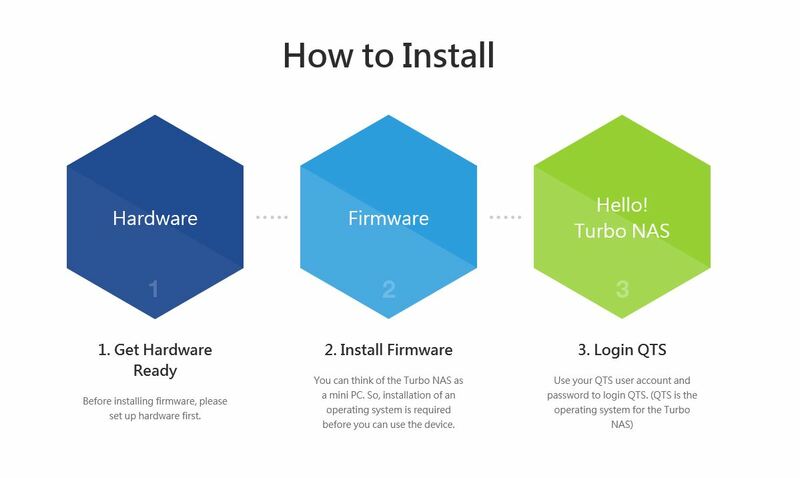 There will be two options for installing the firmware. These options are Cloud Installation or Local Installation. For this article, Cloud Installation was used. After clicking on Cloud Installation, the web page will change to show additional information. Scroll down and click on Start Cloud Installation. A new webpage will load asking users to enter the Cloud Key to start the installation. Enter the Cloud Key or scan the QR code. The Cloud Key will be on the NAS somewhere. On the TVS-463, it is on the top of the device. If you typed in the Cloud Key, click the Enter button to start the installation. Next, a webpage for creating your myQNAPcloud account will load. 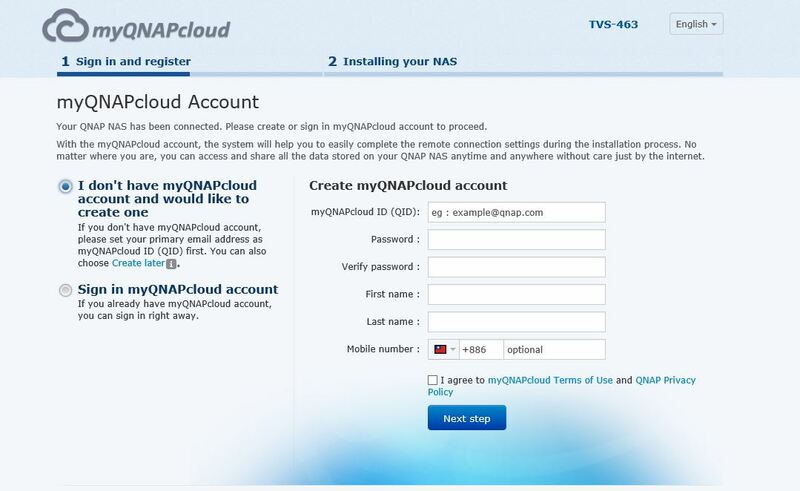 If you already have a myQNAPcloud account, you can choose the option to login with it. 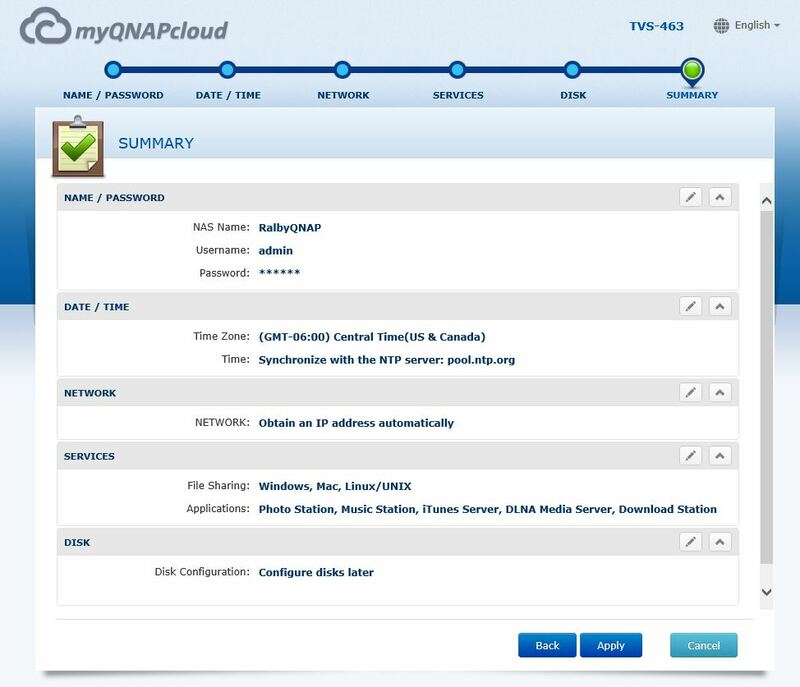 If creating a myQNAPcloud account, fill out the required fields. Click the Next Step button when finished. 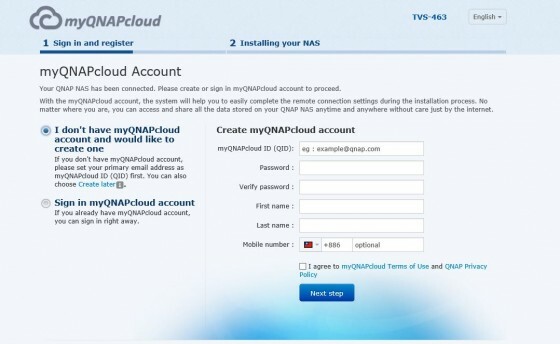 After logging into your account or creating a new one if needed, users will need to register their NAS. Enter a name for the NAS and then click the Register button. After registering, some additional windows will load for selecting some configuration options. The first window has users select the type of use. The options are Home Use or Business Use. Select the option needed. 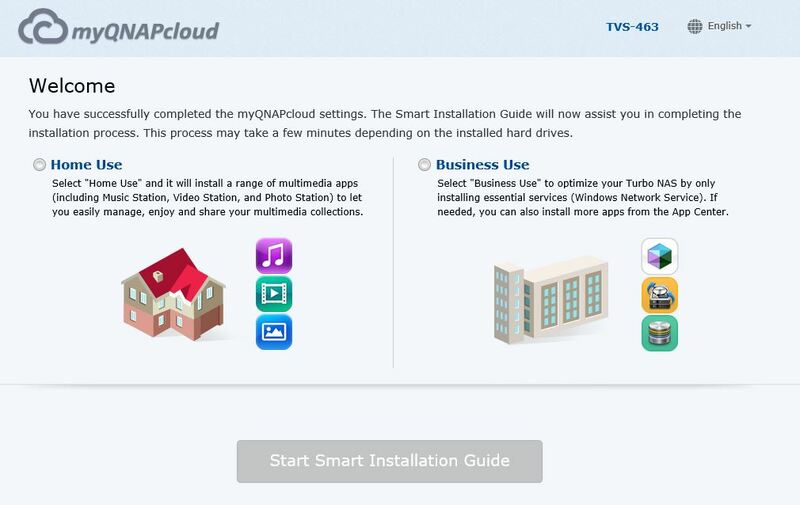 Click on the Start Smart Installation Guide button. 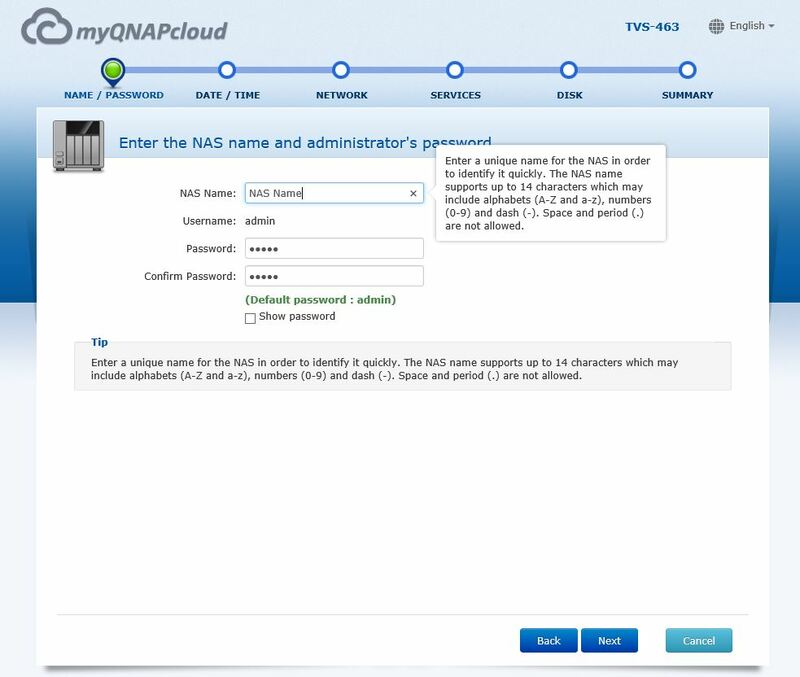 On the next window, users will need to enter a name for the NAS and set up an account password for the administrator account. After entering the needed information, click Next. In the next window, users will select the date and time. In addition to selecting the time zone, users have three options to select from. 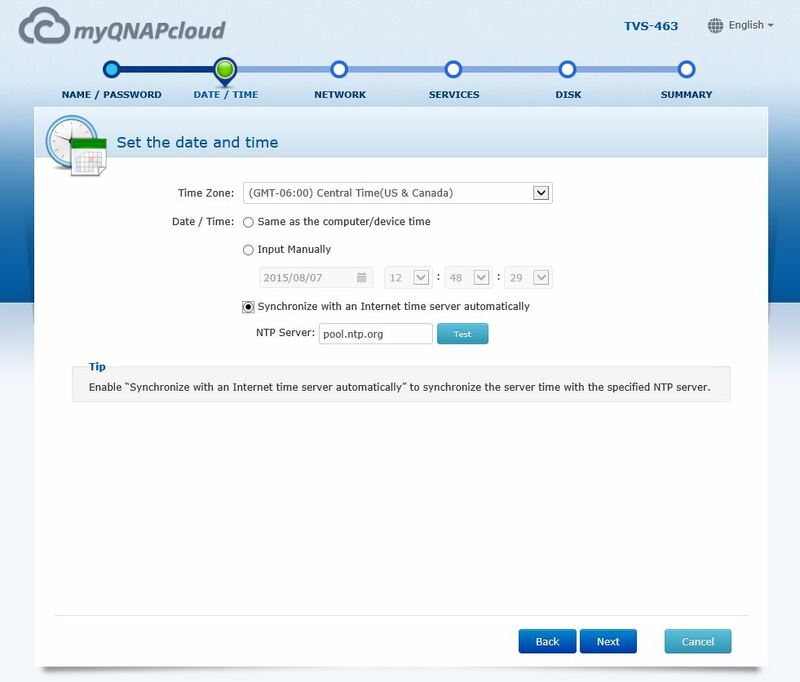 Those options are to use the same date/time as the computer or device time, input the date/time manually, or to synchronize with an Internet time server automatically. In the next window, users will configure the network settings. 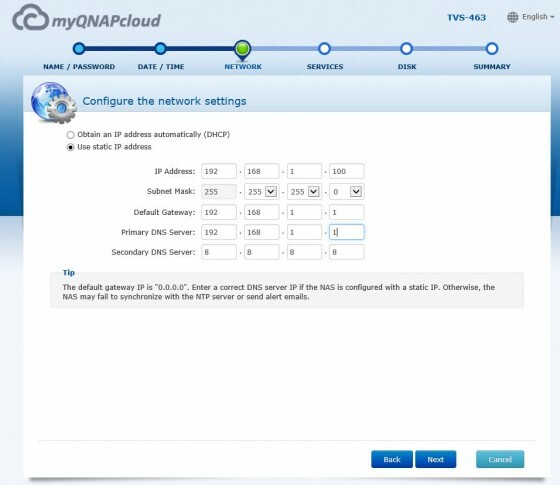 Users can select to obtain an IP address automatically or they can manually configure the network settings. Select the appropriate option and enter the network settings if needed. On the Cross-platform File Transfer Service windows, users will be able to add support for Mac and Linux based systems as well as identify which of the applications will be using the added functionality. Select the options that will be used and click on Next. Next, users will need to select the disk configuration. 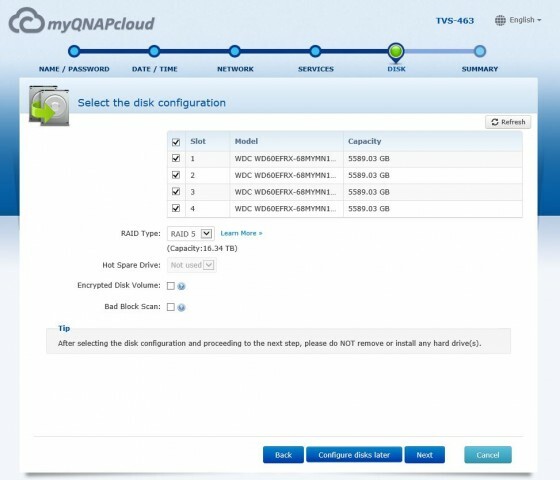 Choosing the disk configuration allows users to select which drives will be used and the type of RAID configuration along with the options of choosing whether or not to use a hard drive as a hot spare, encrypt the new volume, and scan for bad blocks. After making your choices, click the Next button. 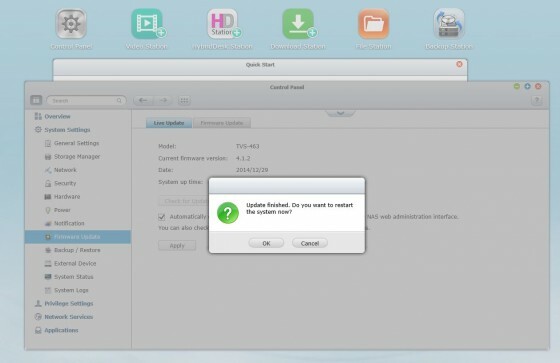 Users also have an option to configure disks later. Click on the Configure Disks Later button if you are going to configure the hard drives after the initial setup. The last step before the firmware is installed is to confirm the settings on the Summary screen. After verifying the settings are correct, click the Apply button. The next window will load while the settings are being applied. The window will show the steps of the process. After the configuration settings have been applied, a Congratulations window will load. 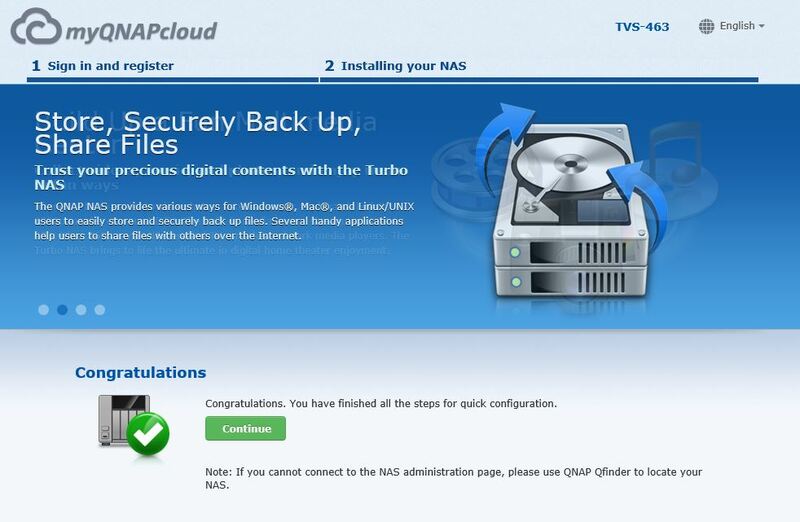 Click on the Continue button to load the web interface for the NAS. When users login to the web interface, they may be prompted to upgrade the firmware. The steps in this section will walk users through the firmware upgrade process. 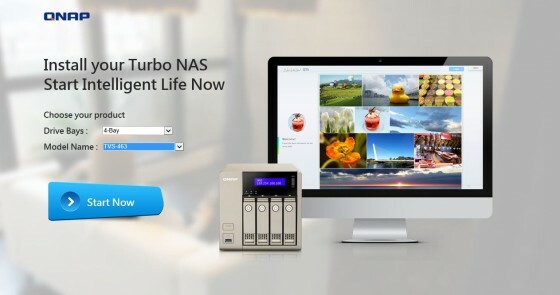 Depending on the settings chosen, users may be prompted to update the firmware when logging into the web interface for the QNAP NAS. After the initial login for the QNAP TVS-463, there was a firmware update to install. 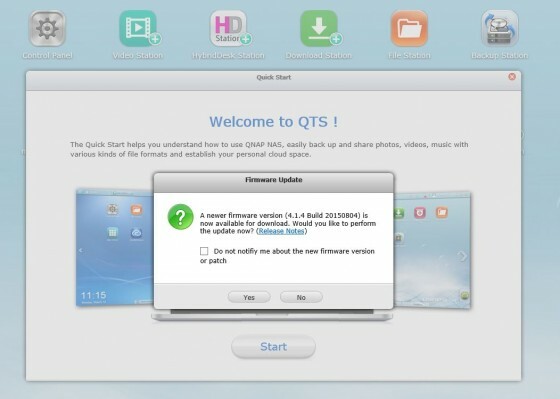 Click on Yes to install the firmware or No to skip installing it. After clicking Yes, a window showing what’s new in this firmware revision will load. Click the Continue button to move to the next step. A window will load showing the progress for the firmware update. After the firmware update completes, a window will load stating that the firmware update has finished. Click Yes to answer the question about restarting the system. 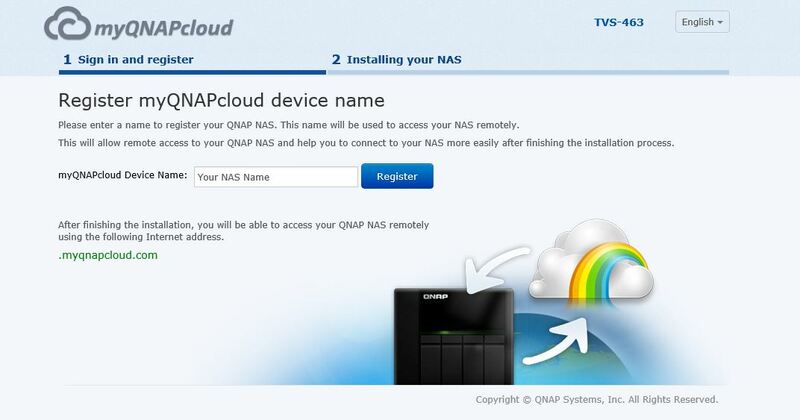 There are two installation options available for QNAP NAS’s. The two options are cloud installation and local installation. 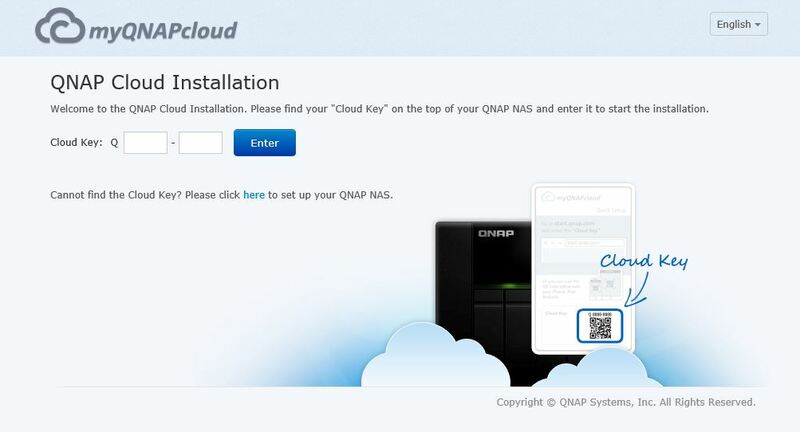 Cloud installation was chosen for this article as there are upcoming articles that will look at how QNAP NAS’s can be accessed via the cloud. The local installation option can be used if users do not need cloud-based features. 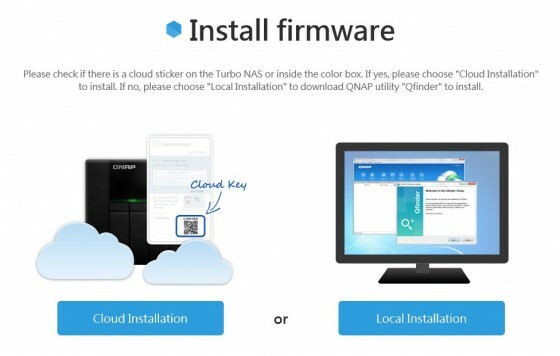 To use the local installation option, users can click on Local Installation on the same webpage where Cloud Installation was selected and then user can download Qfinder from QNAP’s website. Well, I hope that helped walk you through the process without fear! If there are any questions or comments, please post them below or email me at the link in my bio. Robert, aka Ralby in the forums and the chat room, has been working in various helpdesk and technical support roles such as phone, onsite, and remote support for over 10 years professionally. Ralby has worked mostly with Windows operating systems along with some support for Apple iOS-based, Android-based, and Blackberry mobile devices. When not working, Ralby is an avid reader and occasional PC gamer. Feel free to email me with any questions or comments you may have.